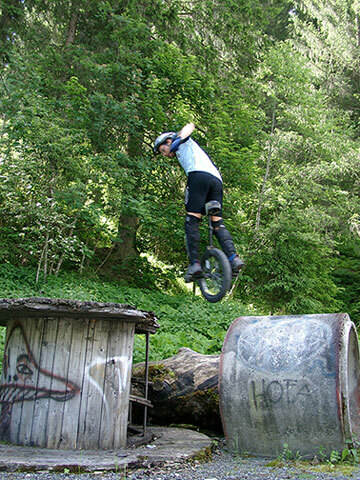 After the friday muni ride with Harry the mood for the weekend was set: Mountain Times! 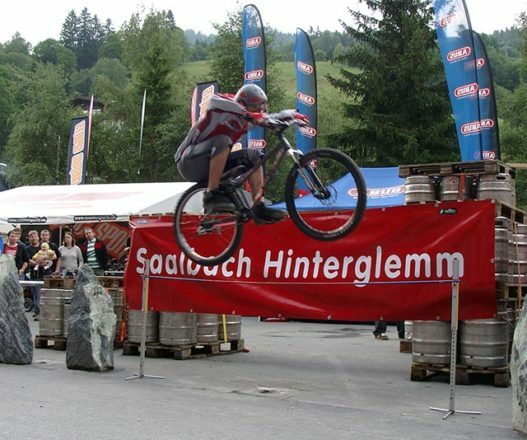 On saturday we headed to Saalbach Hinterglemm where we met Sven for a mountain bike tour. 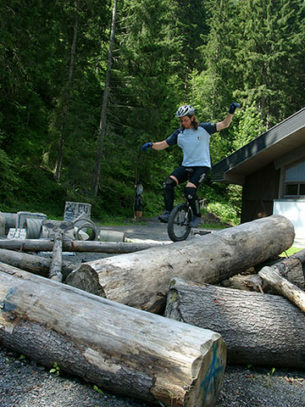 We choose to ride to the Zwölferkogel which was a really tough (power wise) but boring tour. 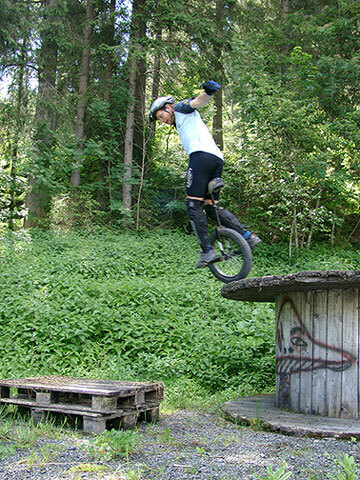 No hops or single trails at all … Due to the weather the Slopestyle was postphoned but at 19:00 Babsi and I had the pleasure to watch Ryan Leech on his trialbike – just amazing. 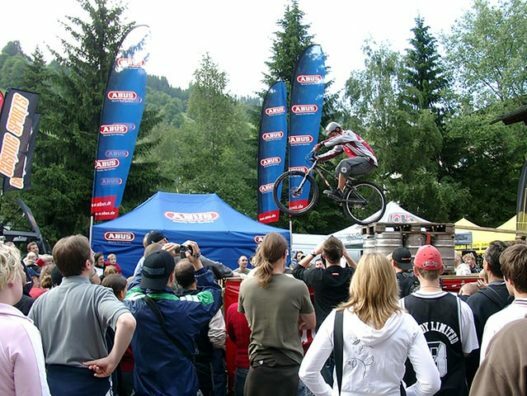 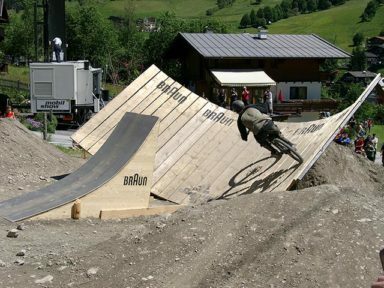 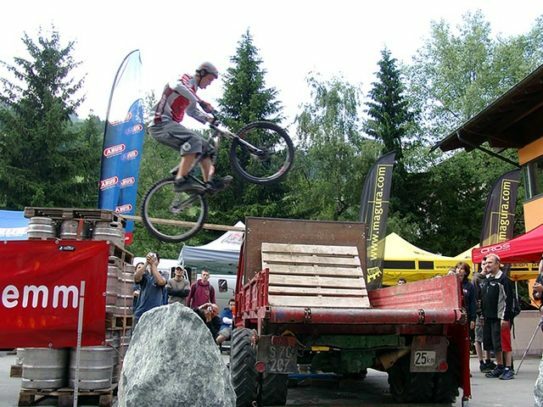 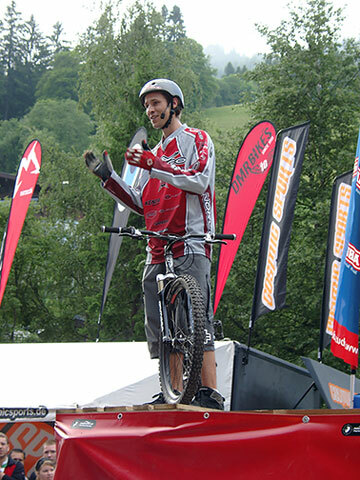 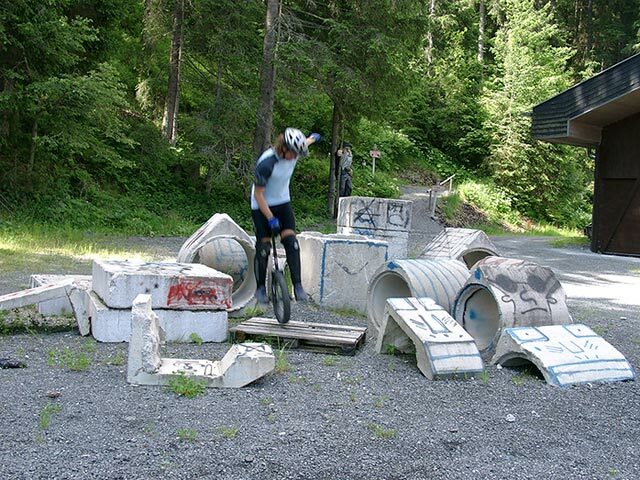 On sunday is was picture perfect wheater: Babsi and I hoped on our bikes again and rode a short biketour, then I challenged myself with the muni at the Trialparcour in Hinterglemm and at 12:30 the Slopestyle Finals 2005 started. 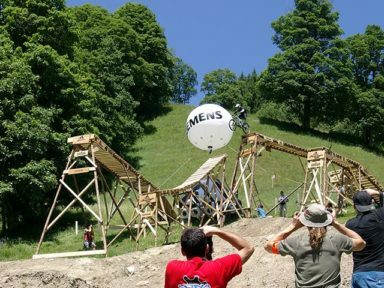 It was just a wicked thing to see the riders dropping 8m, rushing over the wallrides and doing incredible dirtjumps (backloops, tailwhips, 360°, …). 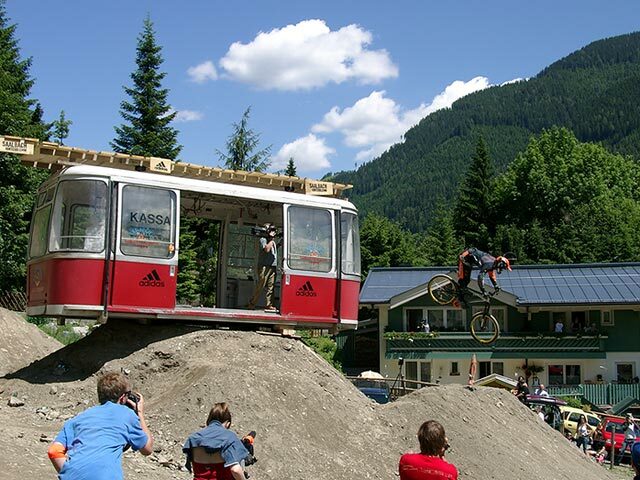 Final it was Darren Barenclaw who won the event with an astonishing ride.